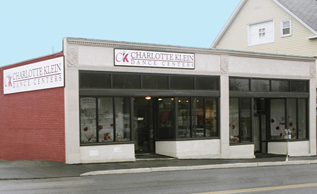 The Charlotte Klein Dance Centers, located in Central Massachusetts, is a well established name in the field of dance locally, in New England and nationally. For over 60 years the Charlotte Klein Dance Centers were under the direction of esteemed dance educator Charlotte Klein. In 2013, former student and current faculty member Rachel Rubin became the studio’s new owner and director. The studio offers a complete program of dance education from Pre-School to Pre-Professional in spacious, well-equipped studios at 1122 Pleasant Street in Worcester and at Westmeadow Plaza in Westborough. The Dance Centers offer beginning to advanced level dance training in Ballet, Pointe, Tap, Jazz, Lyrical, Modern and Hip-Hop. 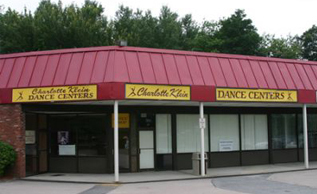 The Charlotte Klein Dance Centers began in 1952 in the basement of Charlotte Klein’s home, with enrollment of 15 students. By the end of her first year Charlotte had over 60 students and the decision was made to officially open the Charlotte Klein Dance Centers. 60 years later the studio has grown to share the passion of dance to over 700 students. The dance center is honored to bring dance to generations of families – in fact, we proudly estimate that more than 30,000 students have been privileged to attend the Charlotte Klein Dance Centers. Rachel Rubin continues to carry on the values that Charlotte Klein instilled in her – At the dance center there is a place for every student, regardless of ability or knowledge of dance. The goal of the Charlotte Klein Dance Center is to focus on the dancer as an individual and to tailor dance programs to meet their specific needs. Our goal is to place students in classes that are based not only on skill, but also on the student’s passion for the art of dance. We want to prepare them for success no matter what their ultimate goal may be. We not only educate our dancers in the art of dance, but also to instill a sense of confidence that can be carried with them later in life. It is this personal attention to each dancer that has been the trademark and has established the Charlotte Klein Dance Centers as a place for quality dance education in a caring, supportive environment. Throughout the dance year opportunities are provided to expand each student’s dance knowledge through Master Classes, dance conventions and regional and national competitions. In addition, the Charlotte Klein Dance Centers has a 2 week Dance Intensive Program in June, July and August as well as a 2-week program of dance, theater and voice in and August. There are four recital performances in June and a Summer Dance Showcase in August, all of which provide students with the chance to perform on stage. For those students who wish to move towards a career in dance, the Advanced Levels and Competition team classes provide intensive training with stimulation from other students at the same level.